Under the research section, I’ve posted a link to my new article on the fragments of Parmenides’ poem. Abstract: In this paper, the author argues that the revelatory form Parmenides gives his poem poses considerable problems for the account of being contained therein. The poem moves through a series of problems, each building on the last: the problem of particularity, the cause of human wandering that the goddess would have us ascend beyond (B1); the problem of speech, whose heterogeneity evinces its tie to experience’s particularity (B2–B7); the problem of justice, which motivates man’s ascent from his “insecure” place in being, only ultimately to undermine it (B8.1–49); and finally the question of the good, the necessary consequence of man’s place in being as being out of place in being (B8.50–B19). 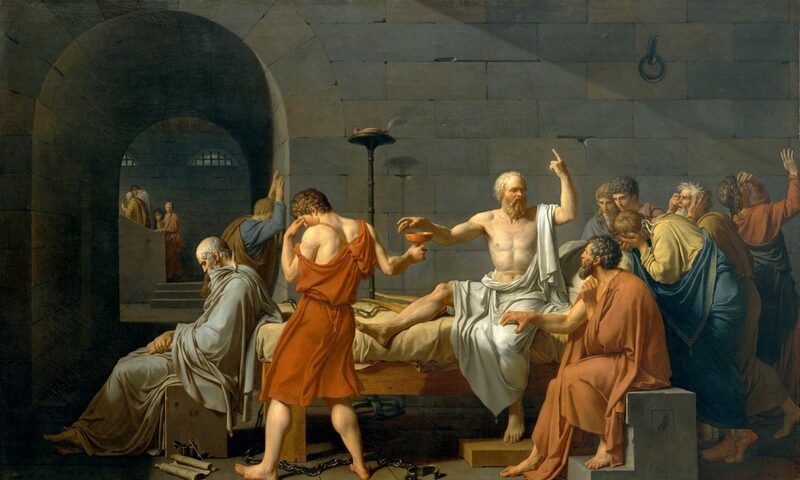 What emerges is a Socratic reading of Parmenides’s poem, a view that Plato appears to have shared by using Parmenides and his Eleatic stranger to frame the bulk of Socrates’s philosophic activity.